The Stash Tea Company is headquartered in Portland, Oregon. It was founded in 1972, the company derives its name from an entertaining aspect of tea folklore. In earlier centuries, tea was a valuable commodity traditionally transported by clipper ship. The ship's captain often was presented with some of the finest teas for his personal use. This supply was his stash, stowed carefully as his private reserve. Today, the term still is used to denote anything put away carefully because of its preciousness. Stash premium double bergamot earl grey black tea has twice as much bergamot oil as the earl grey tea. The black tea base still serves as a solid foundation for this blend, but the bergamot oil takes wing and soars to new unprecedented heights. The flavor is quite pronounced but not at all soapy or bitter which would happen with low grade oils. Is the flavor too strong? For a conservative drinker, maybe yes, but more adventurous types really seem to like it. This is a great late afternoon or early evening tea. It goes very well with shortbread and cream scones. Bergamot, an extract from the fruit of the small Citric bergamia tree is grown in the southern part of Calabria, Italy. Many other Earl Grey teas use a mix of bergamot and other citrus oils, but Stash insist on 100 percent pure bergamot even though it's more expensive, and for a uniquely appealing cold beverage try Double Bergamot earl grey tea on ice. 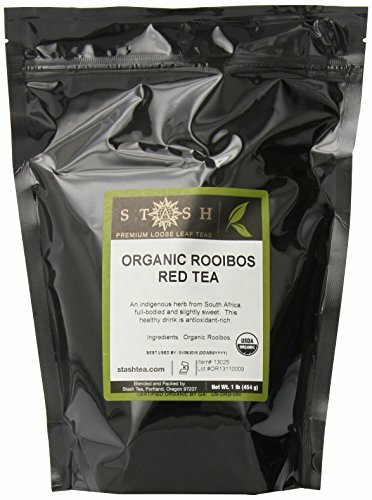 Stash tea has been committed to providing premium quality teas and an unsurpassed tea drinking experience. Stash begins with simply excellent tea leaves from the world's premier tea gardens and all natural botanical ingredients gathered from around the world. Meticulous blending and tasting of every tea ensures you will enjoy full flavor in every cup. Blended in the USA with natural ingredients from around the world.